"Your book on Wind Turbine Recipe Book was in the mail box and as soon as it was in my hands was reading in on the way back into the house. Lot better info on how to make the blades. Your progress in how to make the frame work simple but yet strong shows in this book." 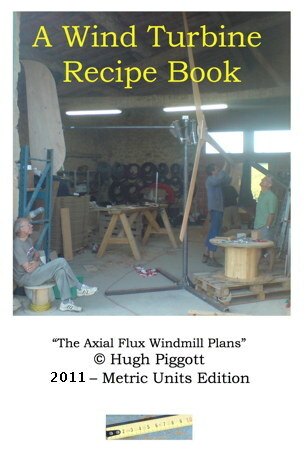 This is the latest edition of my 'axial flux windmill plans' as used in the courses I teach worldwide. 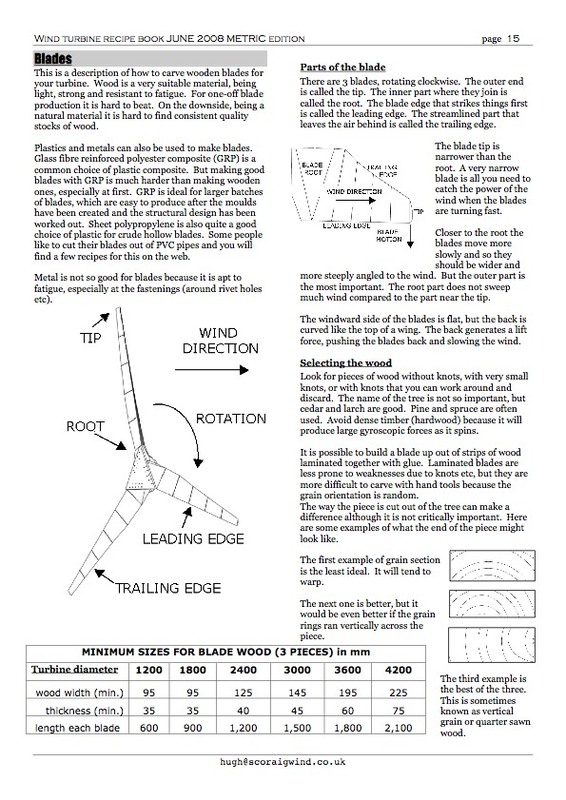 The Recipe Book replaces my older plans 'How to Build a Wind Turbine' (2005). The Recipe Book is a much better structured document than the older 2005 plans. 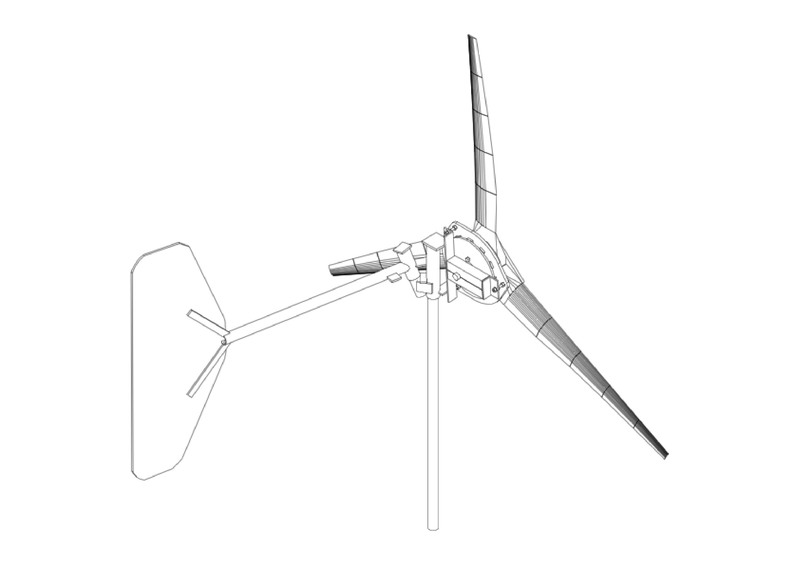 Rather than evolving 'organically' it is carefully planned to include six different sizes of turbines. Each section offers general advice combined with specific dimensions and diagrams for each of these six sizes and a range of operating voltages. During 2008 the Recipe book was only available in metric units, but in 2009 a new 'English Units' edition also became available (written specifically for North American readers who prefer to use Inches and AWG sizes for wire. It is based on the use of neodymium magnets sized 2" x 1" x 1/2" as available widely in North America.) Make sure you get the book that suits you best. There are also editions in several other languages that you can buy directly from sources in other countries.